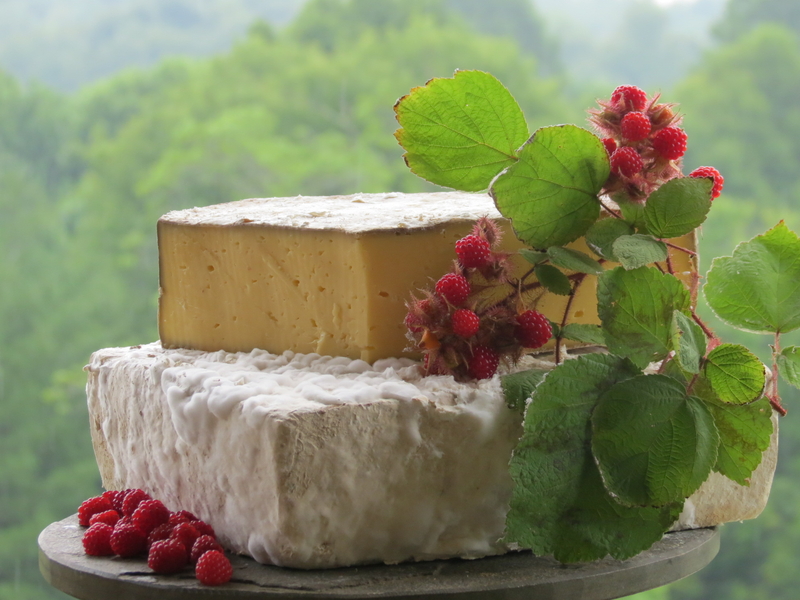 This grass-based raw cow milk cheese is made in the style of a French mountain Pyrenees Tomme. It’s delicious served with salted nuts and jam and is a wonderfully adapted table cheese. Sweet Grass Dairy’s flagship double-cream, this soft-ripened cow’s milk cheese is uniquely developed in the grassy American South in the style of Camembert. 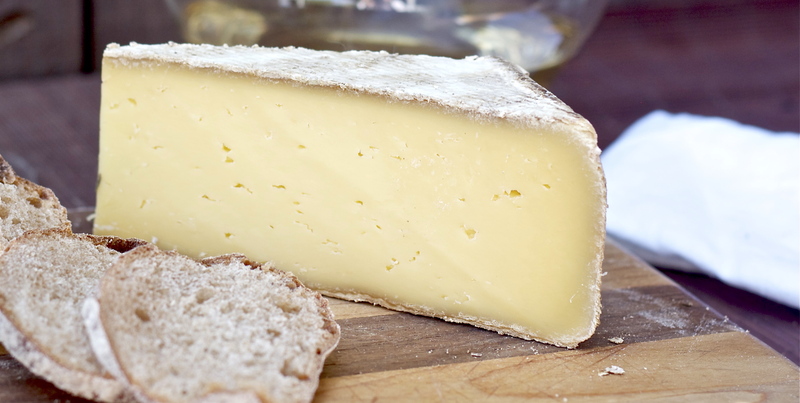 The newest cheese from Sweet Grass Dairy, Griffin is named for the son of the cheese maker. Its curds are washed with a local Porter beer and then cave-aged for up to 3 months before release. The closed texture of this cheese holds yeasty notes from the beer and as it ages, malty notes are joined by the cave’s earthiness. In this blue, you’ll find a briny flavor with notes of huckleberry and sweet nuts with veins of mellow, earthy blue molds blooming throughout. This class Oregon Blue is cold smoked for 16 hours over hazelnut shells, which results in a first-of-its-kind cheese that balances sweet caramel & hazelnut flavors contrasting deliciously with the sharp bite of the blue veining. A rich, complex blue that is deliciously sweet and fruity with slight vanilla tones and a texture of butter. During its maturation, the milk and blue cultures are transformed into a golden-hued paste which tastes of sweet, fresh buttermilk with nuances of beef and bacon, tropical fruit, grass and hay. With its deep, beeswax-yellow paste, savory protein crystals, and slow, pineapple-sweet finish, rich and hearty with complex layers of caramel and nuts, this is the most awarded cheese in American history. 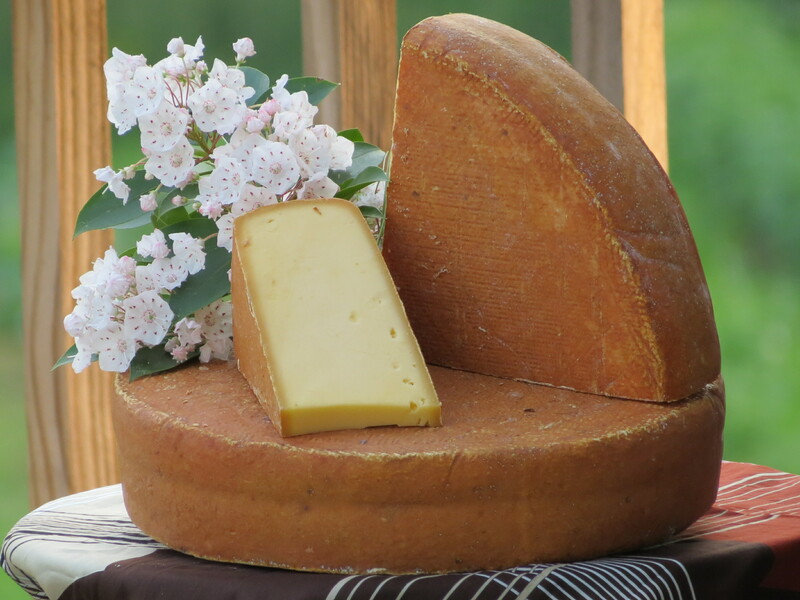 A semi-soft, Tomme-style cheese, this flavor can best be described as bright and vibrant with buttery overtones and a mushroom earthiness that recalls the depth of the aging cellars. Aged for 6 to 9 months, this develops a buttery quality that deepens into a complex roasted nutty flavor, mellowing into a rich, beefy finish with a touch of caramelized onion and butterscotch. Perfect for crispbreads or dried fruits, Grayson has a supple, fudgy texture, becoming silky as it warms. Its rich paste is slightly sweet, with grassy notes and a solid earthy undertone. Made using the oldest technique of no heat, pressing, or hurrying, this fresh lactic curd’s flavor develops naturally over 4 days. The tang of the curd marries well with both sweet and savory flavors. Sold in its original draining basket, this unique ricotta is known for its pillowy texture. This rich, whole Jersey cow milk cheese is slowly heated in small kettles, allowing delicious curds to form. 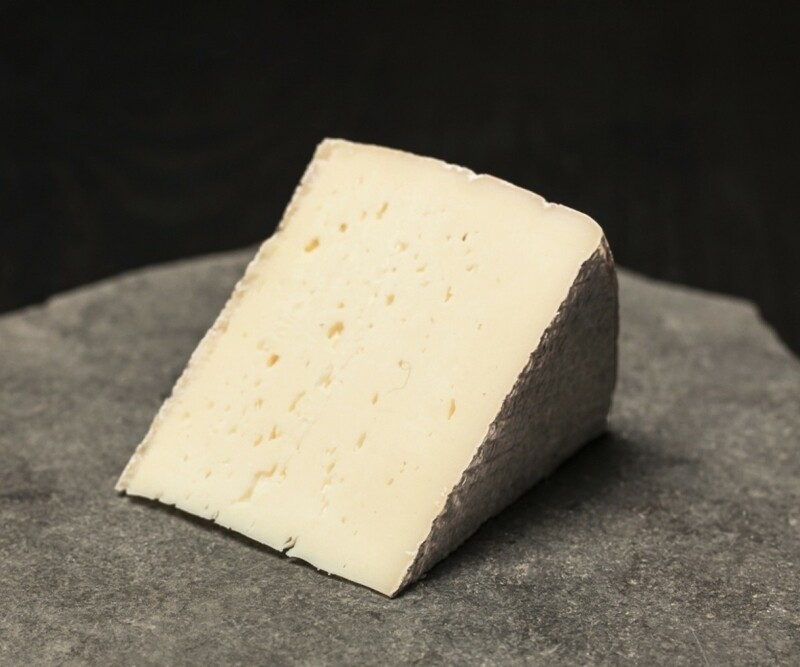 Named for a winding road through the coastal of Petaluma, this cheese highlights the buttery flavor and natural golden color of rich Jersey cow milk. Not too sharp or salty but with a slightly gamey flavor, the sweet clean quality of the milk is still present in this aged cheese along with the characteristic ‘nutty’ flavors of sheep’s milk cheeses. The whey leftover from making San Andreas cheese is the secret to this light and savory specialty. This basket-drained ricotta is so delicate and fluffy, some liken it to homemade marshmallows. Sweet, dense, and representing everything you’ve ever wanted from a ripened goat cheese, Sofia has two layers of ash in the middle, one on the outside, then a bloomy rind grows on top. The result is a light, delicate paté. Beginning as an experimental version of Old Kentucky Tomme by Hungarian intern Julianna Sedli, the buttery, nutty, and slightly tart flavors develop under a natural rind of thyme, lavender, rosemary, and wildflowers. This fresh cheese is wrapped in whiskey soaked chestnut leaves and then aged. It has a bright, tart-fruit flavor but is balanced by an underlying sweetness that mellows nicely. To eat, peel back the inedible leaves and enjoy. For all those afraid of goat cheese, this one’s a game changer. With buttery, rich notes and mild “cellar” & mushroom overtones , OKT enjoyed young has a smooth pate, and a rosy tan rind. This becomes darker with age and develops a slight “kick” at the finish, while the texture becomes more translucent and shiny. Check back to find out what’s new to the American Originals collection.